What is the difference between interest rate and A.P.R.? There is an interest rate and an Annual Percentage Rate (A.P.R.) for each mortgage loan you see advertised. The easy answer to "why" is that federal law requires the lender to disclose you both. The A.P.R. is a tool for comparing loans. The A.P.R. is designed to represent the "true cost of a loan" to the borrower, expressed in the form of a yearly rate. This way, lenders can't "hide" fees and upfront costs behind low advertised rates. While it's designed to make it easier to compare loans, it's also confusing because the A.P.R. includes some, but not all, of the costs in a mortgage. Get this, Federal Law requires the A.P.R. be disclosed but they do not clearly define what goes into the calculation, so the A.P.R.  can vary from lender to lender and loan to loan making it very difficult to use alone as a comparison barometer. You have to look at all the fees in addition to the A.P.R. The A.P.R. on a VARIABLE loan tied to a market index, like a 5/1 Adjusted Rate Mortgage (ARM), assumes the market index will never change. But ARMs were invented because the market index changes and makes fixed rate loans cheaper or more expensive to make -- that's why they're variable rate in the first place! Also, the A.P.R. will not accurately price in balloon payments or prepayment penalties (illegal in Georgia), or how long your rate is locked. Also, you'll see that the A.P.R. on a 15-year loans will carry a higher relative rate due to the fact that any points are amortized over a shorter period of time, thus saving years of interest. Click here to see latest guidelines on the "Know before your owe" mortgage initiative from the Consumer Financial Protection Bureau. Before you go looking for the lowest A.P.R., evaluate the mortgage in full. It's like most large purchases, the devil is in the details so make sure you understand your financing plan and use a trustworthy, reputable firm.